So your department head has asked you to create a book club for Tweens and you readily agree because you know that book clubs not only offer additional reading practice, they help expand vocabulary and can lead kids to new genres and authors they might otherwise miss. They also give participants practice in articulating what they do and don’t like about a book, its author or its illustrator, and they expose tweens to alternative viewpoints about a book or its subject. These skills help tweens develop their identities as readers, a critical step on their way to becoming lifelong readers. Before cranking out a flyer, take a moment to think about what type of club you want to create. Your club can be based on the type of book (graphic novels, mysteries, nonfiction for example), on a subject (animals, geography, sports), or on the type of reader who will belong to your club (all boy, all girl, mother-daughter/son, father-daughter/son, etc.). The most common library book club uses none of these limiters and tries instead to appeal to everyone by selecting a wide variety of titles to read. While this approach probably doesn’t truly meet the needs of Tweens as well as more defined clubs, this may be your only option depending on your library’s staff and budget levels. Whatever your particular library’s circumstances, start where you are and aim to build your program into the book club(s) of your dreams. Once you’ve mapped out a plan for your club, be sure to steer clear of these nine mistakes and you’ll be on your way to making a difference in the lives of the tweens you serve. Mistake #9: Never bring food. Tweens hate snacks and it will only mess up your carpet. Not only do most tweens love snacks, there is something about munching on a carrot (or pretzel or cupcake) that lends a relaxed air to your meeting, making it easier for even shy kids to open up and participate. Mistake #8: Don’t schedule your meetings for the same day and time every month – this way someone who can’t make your Monday meeting one month will be able to make your Thursday meeting the following month. Be consistent with your scheduling. Accept that whatever you choose will not work for everyone, but by sticking with the same day and time (third Tuesday, second Monday, etc.) you’ll make it easy to remember – and come – to your group. Mistake #7: Don’t begin your meeting until everyone has arrived – you’ll just have to repeat yourself whenever a new tween walks in. Reward the kids and their families who do make the effort to be on time by starting on time. By waiting for latecomers you train everyone to come late in order to avoid having to sit around waiting for the last kid to arrive. And by the way, there’s no need to repeat yourself for latecomers. Just greet them with a smile and motion for them to sit quietly and join in! Mistake #6 (a corollary to #7): Don’t worry about how long your meetings go – you’ve spent a lot of time planning an awesome book discussion, after all, and by George, you’re not going to let it go to waste! Honor the time commitment of your participants. Just as you deserve their on-time arrival to the club, they deserve your on-time dismissal of the club. Surprisingly (to some), your book club isn’t the only thing on their agenda. Homework, sports, family activities, and a myriad of other obligations and interests compete for their time – don’t make it impossible for them to get anything else done on book club nights or days. With a little trial and error you will learn to plan an appropriate amount of discussion and/or activities to fill your allotted time without going over. Be flexible, stay fluid, and both the tweens and their parents will thank you. Mistake #5: Be extremely rigid about your age range. If your flyer says “Grades 4-7” that means it’s up to you to make sure no precocious third graders sneak in. If necessary, require birth certificates at check in. First, there’s no need for a check-in of any type at a book club gathering. Check-ins are for airports and probation officers; book clubs are relaxed gatherings of friends or soon-to-be-friends. Kids vary greatly in their maturity level, reading ability, and interests and many simply want to attend with a friend who happens to be a grade above or below them. If you feel one of your group members truly doesn’t fit in because of his/her age difference, talk it over with your department head and see if a solution can be found. In the meantime, your job is to create a welcoming environment for everyone who wishes to be a part of your group. Mistake #4: Don’t allow time for socializing – they do enough of that at school. It’s important for tweens to feel comfortable in your group and some light socializing is a great way to make that happen. Learning when and how to socialize appropriately is also part of the book club learning experience. Do watch for signs of hurtful or otherwise inappropriate behaviors – your book club should be a safe place for all. Mistake #3: Crafts are for babies – tweens just like to talk. A craft, science experiment, game, or other activity related to the book is a great way to engage those tweens whose best form of expression is something other than talking. Activities also provide a good opportunity for tweens to socialize and tap into other skills besides reading and talking. Mistake #2: Don’t bother reading the book yourself, especially if you already read it several years ago. In order to be able to talk enthusiastically and with confidence about the book, you need to have read it, preferably no more than two weeks prior to the meeting. Your tweens will know if you’ve read the book or not, and their respect for you will vanish if you haven’t. Mistake #1: Never, ever let the kids choose the books – they’ll just choose junk. Besides, you’re the librarian and that’s what they pay you for! Despite your (quite possibly valid) reasons for not giving your tweens total control of the book selection process, it is possible to ask, and ask frequently, about the books they are already reading. This will give you an idea of genres, book length, reading level, and topics enjoyed by your group, which in turn, can help you make book selections that are sure to be eagerly anticipated. If you avoid these common mistakes and listen to your tweens, your book club is likely to be a meaningful and enjoyable experience for all. into reading. Children & Libraries: The Journal Of The Association For Library Service To Children, 4(1), 26-27. It is known that the number of male readers tends to taper out while they are in their middle school years. I, a library student, have a brother who proudly says that he has not truly read a book since he was in Middle school. Why is that? Well there have been numerous studies that have been conducted that offer a variety of reasons for this occurring, for instance, Kristen Bevilacqua states that may boys find that as they get older they are “too busy to read” trying to juggle school work, along with any outside activities that they might have. Another reason Bevilacqua gives for boys not reading is the perception that most books deal with “girly” topics. She goes on to describe a third reason: that boys are afraid of being labeled as a nerd. I agree with the first idea involving a busy schedule, but the last two are not as plausible in my opinion. There are so many new series books that feature adventure, male protagonists and other aspects. The question we need to ask ourselves, as emerging professionals is, how we can influence the reluctant users to use the library and its facilities. The first thing is to encourage, while this may sound quite similar, and one of the most basic starting points, boys, as Dr. Julie Wood states, “often underestimate their ability to read”. So often I have seen boys and male young adults who do not believe that they are able to read the huge book they have been assigned. There are several possibilities of motivating boys to read and read more often. Digital media and digital readers are a one of the biggest draws for the boys who come to my reference desk. Their favorite thing to do is read the Captain Underpants series on their digital media device, because they find the frequent flipping and moveable cartoons are quite incredibly amusing. Another great resource to connect them with is Guysread.com. Guysread.com is a community of male readers, authors, and a few notible people like Time Green, Dan Gutman, Gordon Korman, are just a few of the writers that talk about the books that they are reading, and enjoying currently, past and hope to in the future. Boys really enjoy reading what their peers are reading. Another useful idea is to introduce your reluctant reader to the spectacular world of audio books. Children’s audio books are an unsung gem at the library, they are such wonderful catapults into reading for kids, especially boys. I have found personally, the driest material to be utterly absorbing when read by a wonderful speaker on an audio book. There are many tips and little tricks that many have tried to motivate kids, boys in particular, to read. I find that more often than not, it is in the different programs, and approaches. For example, at my place of employment we are hosting a Harry Potter day. Any children that can answer questions from every book are entered to win prizes. The photographic essay is an interesting resource for children to use for either school work or pleasure reading. While almost all nonfiction books contain some mixture of photographs and text within their pages, there are several subtle yet distinct qualities of both the text and the pictures that make a nonfiction book a photographic essay. First, the essay “relies on the camera in different ways: to particularize general information, to document emotion, and to assure the reader of the truth in an essentially journalistic fashion” (Kiefer 2010). So, in layman’s terms, the photographic essay is the product of the text and the photos working in collaboration to create a realistic story that is conveyed upon the page to the reader. These essays with the direct link to the text allow for the reader to have a better understanding of more abstract or unfamiliar aspects of the subject of the essay. The larger pictures that accompany the text to create the story allow for a much more concentrated view on the subject matter. Another defining point of photo essays is that they often have text captions associated with the image presented; they present a story told through these images combined with text. Often, the photographs that are incorporated into the work are specifically taken for the book by reputable photographers. Photographic essays come in all different levels of complexity and at a variety of reading levels. These additions are so important because as Common Core is implemented, more and more materials feature the journalistic aspects of the photographic essay. The photographic essay topics on animals are quite numerous. They can display the social behavior in animals, their culture, habitats, and realistic perspective on the lives that they live. The photos included in these are generally up-close and detailed, giving the reader a perfect view of the creature in question. Of course, photo essays are not just limited to animals; they cover a wide range of topics including history, science, social and political issues, and current events. A great example of a creator of children’s nonfiction photographic essays is Nic Bishop, one of the most well known photographers for nonfiction children’s materials. Photo essays are great for reports, presentations, and follow Common Core reading standards, and will serve well in the education of children on any number of subjects. These books are great for any project or recreational reading. Owen & Mzee: The Language of Friendship by Isabela Hatkoff, Craig Hatkoff, Dr. Paula Kahumbu, and Peter Greste. Kiefer, Barbara. (2010). Charlotte Huck’s Children’s Literature. (10th ed). Boston: McGraw-Hill. Strategy 1: Introduce them to new books so they can know what’s up. New books deserve introduction to children for several reasons. Most important is that new books are usually the talk of the town and to hear about new books but not have the chance to read them is upsetting. Much like how new movies, television shows, or video games get a lot of hype prior to their arrival on the air or on shelves, new books can also garner a lot of excitement for those who anticipate them. Encouraging children to read new books is an investment in their future in terms of how they choose to entertain themselves. If children are stuck reading books that older generations have deemed to be important, then children will never feel anywhere but stuck in the past. However, if educators or librarians can create an excitement and anticipation for books in children at a young age, the chances that children will continue to hold those emotions towards books in the future will be more likely. If a child has never been entertained by a fresh new book, he or she will probably never discover enjoyable new books (or books in particular) as an adult. Strategy 2: Introduce them to local authors. It can inspire them. Children can be inspired by hearing about the real-world accomplishments of local authors because it will give them the knowledge that it is possible to achieve success, notoriety, and fandom from wherever one’s origin may be Too often, the major celebrities of any art form are more known than any local talent. I think it is also important not just to introduce children to the output of local authors but also to explain their biography as well. Simply seeing that someone from his or her own state was recognized nationally may not be enough to convince a child that it is also possible for them. What may do the trick is researching the local author’s biography and explaining what could possibly be humble roots the author emerged from, and children could better relate to that. Even if humble roots are not present, outlining how the author finally achieved his or her notoriety, whether by going to school, traveling, accepting rejection, etc. is a better way to inspire a child to try and do the same because it teaches that child what it will take to emulate the success. As it can be said about most things in life, it is unknown if a child will enjoy something until he or she has been exposed to it. Poetry is an all-encompassing word that includes many diverse writing styles, including haiku, limericks, free verse, sonnets, etc. I think too often poetry is presented in its most standard long form with older language that appeals to only a small audience who appreciates that level of sophistication. As a result, poetry gets tossed aside as too analytical and therefore totally un-cool. To overcome this, a wide array of poetry collections should be presented to children so that the stereotype of poetry does not persist throughout their adulthood. To cast a negative shade over the entire topic and not allow it to be presented to children would be an enormous bias. I think that when poetry is being introduced to students, it should not simply be regarded as “poetry”. The poetry under discussion should be qualified further to include its most accurate label (whether haiku, limerick, etc.). This way, poetry in general will more likely not be disregarded as uninteresting to students. Strategy 4: Let them read whatever they want. No questions asked. It may sound simple, yet it is so often not allowed, that children should be allowed to read whatever suits their interests. One of the most important things to keep in mind is that all forms of reading need to be encouraged in order to keep an interest alive. Too often, various forms of written works are discarded by parents who have a narrow and conservative interpretation of what constitutes reading. As a result, books that appeal to children that may not have been standard material during a parent’s youth might be discouraged or refused to be brought home. This means that when children pick up video game guides, manga, graphic novels, “silly” books (Big Nate, Captain Underpants, etc. 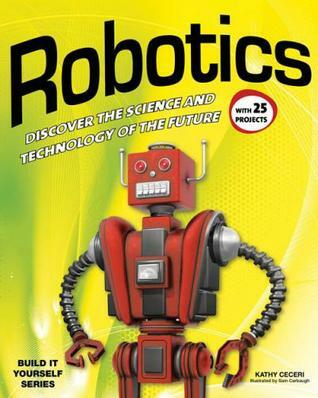 ), look and find books, and adaptations from television series, toys, and movies (Batman, Spiderman, Pokémon, Barbie, etc. ), these reading selections need to be wholeheartedly supported. If children get the impression from adults (parents, teachers) that these books are not “reading”, then reading may get a negative connotation and children may give up finding a “suitable” interest in reading when so many of their interests have already been put down. If children’s interests are disregarded too often, the result may be simply being interested in only the more passive forms of entertainment, including television, video games, and movies. Alternatively, if a child is noticed to not take an interest in reading, then maybe an interest from another form of media can be the basis for initiating an interest in reading (i.e. “I notice you like watching ______ on TV. Did you know that this show started out as a book series ?”). The first ambassador for poetry to most children is Mother Goose—an old lady with a funny bonnet and geese friends. Through her, children will learn all kinds of silly fun rhymes which feature characters like three mice who are blind for no reason and Miss Muffet who has a tuffet (whatever that is). As the child grows up, poetry grows up, too. This isn’t to say that there is not plenty of fun poetry for older children. Their options range from the nonsensical, with authors like Edward Lear, to the comedic, such as classics by Shel Silverstein. There is a whole world of poetry however, that is not intended for “fun” and because of this might be unappealing. While it might not be as appealing, understanding this realm of poetry is an important skill. As children age, the material that will be required for them in school and which may actually benefit them in their later lives will not always be fun and most likely, will not rhyme. The question is then not how do we get kids to read poetry, but how do you get them to read poetry that on the surface is no fun. Before you try to force children to read poetry, think about your relationship to it. Do you like poetry? If so, why? If not, what it is that puts you off from it? How would you explain what poetry is? So, do you like poetry? If so, what is it that appeals to you? Most people aren’t going to just change their opinion about poetry just because you think it’s important. You can influence their opinion however, by your excitement. Once you find this excitement in yourself, you can share that with others. Do you not like poetry? What are the parts you don’t like it? Understanding what problems you may have with poetry will help you to empathize with a child who has decided that they do not like poetry. My biggest issue, for example, is that sometimes I just don’t get it. Why not just write whatever you want to say out in a full story form? Why use chopped up sentences? Finally, how do you even define poetry? There is the more traditional kinds of poetry, such as William Wordsworth, which can be difficult because it usually comes across as flowery and inaccessible. Modern poetry, on the other hand, is artful and may have strange choices made by the author regarding organization, rhythm and words. A lot of modern poetry can be confusing, oftentimes it may be confusing on purpose, because it’s modern. Knowing your own feelings about poetry before you try to interact with children about it, will make you more successful. It also can help you choose what type of poetry you want to share with children. You should always choose poems and poets that appeal to you because kids always know. The idea is usually to analyze and inspire reflection after sharing poetry with children. Doing so usually involves lots of questions or related activities. This is exactly the opposite of what you want to do with poetry, especially the more serious variety. A poem’s strength and value is the richness of the language, the sounds and the wordplay. To overanalyze it kills the intrinsic value of reading it to begin with. As Lee Bennett Hopkins says in his book, Pass the Poetry Please, “after such nonsensical interrogation…it would take a miracle or child masochist to ever ask for these, or any other poems, again (Hopkins 1998 p19)”. Read-Aloud. A lot of poetry, such as Shakespeare, has an oral element. It is made to sound good and it stays only half alive while just on the page.. You can read a poem you like aloud to them yourself, or get them to read it in some kind of Dead Poets Society. Any way that you share the oral side of poetry is great, as long as you get them to have fun with words. Slam Poetry. The Slam Poetry movement is alive and strong. It lies somewhere between the written word, hip hop and performance art. It encourages everyone to contribute, not just those who might have a predilection to writing. While some poetry may seem stuck to its page, slam poetry can be incredibly powerful. In particular, it has done a lot of good for those inner city kids who don’t feel like they have a voice. It is like what Taylor Rocheford, a seventh-grade English teacher at the Bronx Lab school said when interviewed about the school’s involvement with a slam poetry institution, “It’s such a neat experience to see them smile about something they did all on their own. And that’s what I say to them: ‘You did that. Yeah, I may have guided you, but you stood up there and memorized that poem and performed it. You did that. That was you (Rubenstein 2009)'”. Challenge Them. Don’t be afraid to introduce them to Emily Dickenson with her awkward capitalizations or T.S. Elliot with his dark, strange wastelands or any other difficult poet not traditionally thought to be tailored for children. As long as you do not demand answers from them, they can be free to enjoy the quality of the words and emotion of the poem. You can imagine it as hearing a song for the first time—they will not catch all the words but they can enjoy the music of it. In his essay, A Defense of Poetry, Percy Shelley said Poetry is a sword of lightning, ever unsheathed, which consumes the scabbard that would contain it (Shelley p19). We forget that poetry has that vibrant power to transform, and so consequently we just give it to children like here, have this, it’s sort of important. Instead of swords of lightening, its like they have to eat their vegetables. Hopkins, Lee Bennett. (1998) Pass the Poetry Please. HarperCollins Publishers. Rubenstein, Grace. (May 5, 2009) Kids Feel the Power of Poetry in Performance. Edutopia.com. Shelley, P., & Cook, A. (1891). A defense of poetry. Boston: Ginn & Co.
Now-days it is extremely difficult to interest children with reading. Times have changed so much due to technology, that all children want to do is play the video game, iPad, or browse the internet on their laptop or computer. According to Reading Motivation: What the Research Says, “Research confirms that student motivation is a key factor in successful reading” (Gambrell & Marinak, 2009). With this being said, librarians and parents must become involved and creative in motivating children to read. After completing the Read Aloud with my audience, I realized a number of things I did to motivate children to read more. First, effectively promoting the Read Along and properly setting the right atmosphere helps to motivate youngsters to read. Many can recall a time when a parent would tuck them into bed, turn off the light, and shut the door, with the idea that their child would soon after drift off to sleep. Little did they know, you actually stayed up three more hours reading with the help of a night light or flash light under the covers. This is because this was the perfect reading environment; and adults can learn a great motivation trick by mirroring this. Secondly, encouraging a group discussion after the Read Aloud, stimulates their ability to express their thoughts and fosters the learning of some Common Core Standards. Based on an article titled, The Power of Read Aloud in the Age of Common Core, “Common Core ELA Standards for speaking and listening require students to participate in a range of conversations and collaborations, require students to be able to express their ideas clearly and persuasively, and require students to be able to adapt their speech to a variety of contexts” (Johnston, 2015). Discussions after reading are very important and help children feel confident about their reading comprehension. Next, by using gestures, voices, and expressions, Read Alouds help to motivate children in the learning of oral language and fluency thereof. Moreover, Read Alouds provide to opportunity for children to “see the ways in which the language of a book differs from that of spoken language, patterns and structure of written language….and the learning of new words…” (Johnston, 2015). Lastly, although I did not initially take this into consideration while completing my presentation, I have come to realize that Read Alouds provide the opportunity to intermingle with children of other ethnic backgrounds and culture. 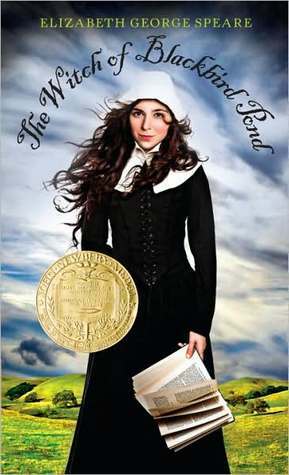 According to, The Power of Read Aloud in the Age of Common Core, “Banks (2003) suggested using books that portrayed accurate historical facts or perspectives in order to teach concepts of cultural similarities and differences, as well as reduce discrimination and stereotypes” (Johnston, 2015). The gathering of children with diverse cultures coupled with reading books with diverse cultures, children have the opportunity to engage, interact, and read amongst each other socially; Deep Blue of the Waterfire Saga is a great book that models such, since is describes characters of diverse cultures. Children feel more comfortable and motivated when they can read material in which they can relate in terms of culture; so books with a diversity of culture may just be a plus for everyone. These are just a few things that I learned about my experience presenting a Read Aloud in terms of motivating children to read. One thing that I didn’t do for the presentation that I could add the next time would be to provide the opportunity for the children to read some as well. This will boost their confidence reading in front of an audience as well as aid in building on their reading skills. What do children prefer? This may seem like an easy question to answer considering all were once a child. However, this may not be so simple when reality sets in that adults do not instantly think as children. I have learned that children often prefer books with pictures and graphics. According to Charlotte Huck’s Children’s Literature, picture books are defined as “those books in which images and ideas join to form a unique whole” (Kiefer, 2010). Picture books include wordless, non-fiction, and concept picture books. Another type of picture book comes in the form of Graphic Novels. Graphic novels (GNs) are great for children grades 4-8 because they powerfully attract and encourage kids to read (Brenner, 2015); especially young boys which are traditionally harder to stimulate reading habits. Youngsters who struggle to read, English language learners, and special needs students all can benefit from reading GNs. As stated by a teen in the video, Graphic Novels Draw Kids into Reading, GNs are “more exciting than regular books…” (Westhill High School students, 2012), and they actually learn and enjoy reading them. One graphic novel that children (boys in particular) seem to enjoy is The Diary of a Wimpy Kid. Furthermore, children take pleasure in books that they can relate to in terms of gender. Middle school aged children go through many changes that affects them socially, mentally, emotionally, and physically. By the time eighth grade is reached, most children have already shown signs of beginning puberty. As a result, many of them face self-image and emotional issues. According to Psychology Today, adolescence is a ten to twelves year phase in which a child is transformed into an independent adult (Pickhardt, 2010). This period of adolescence includes puberty, and is the time when youngsters often feel ashamed of the changes occurring within them. For this matter, they confide in the opportunity to read books that speaks directly to their gender group; in hopes of relating on similar issues they face during this period of many changes. Children have their own unique way of making their presence known in our society. They think and feel differently from adults. Adults tend to think in terms of using what they already know for survival of everyday life. So, it is only natural that the preferences of adults differ from that of a child. The role of an adult exists to educate and mold the mind of a child into a “mature grown-up” that is able to survive on his/her own. Therefore, adults often feel that children should read books that educate them as well. Books that encourage the idea fantasy and make believe are far from ideal in the majority of adults’ mind. Many feel that such books do not encourage a real sense of reality. For this matter, adults feel more at ease with children reading Contemporary Realistic Fiction (CRF) instead of Fantasy and Science Fiction. CRF books such as Hatchet, The Fault in Our Stars, and Bridge to Terabithia, are great stories that convey the harsh realities of some of life’s unfortunate situations. With the help of CRFs, adults can help children understand and come to terms with human relationships and problems that can occur in within their lifetime (Kiefer, 2009). 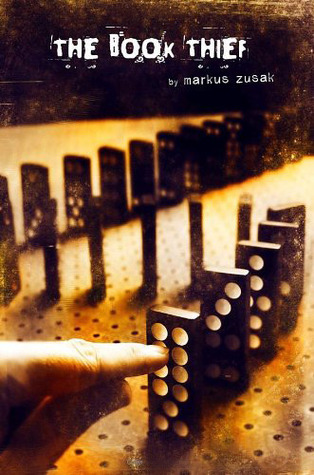 Although this is not actually a form of non-fiction, the stories that the author writes, within this genre, are realistic or can happen in reality; hence the “realistic fiction”, part of the title. Additionally, children prefer pictures books such as Graphic Novels, but adults have a tendency to disregard them and place them under the category of entertainment. Due to the lack of “word content”, adults (parents in particular) suggest that children are not learning from reading these types of books. Many adults also feel that the term “graphic” is used to describe sexual content, thus meaning that GNs are not meant for the adolescent population. Finally, adults want children to read books that they can identify with. Contrary to many adult’s feelings towards picture books like Graphic Novels, children actually are learning from reading these books; they are visually learning. Finally, Gender-based books were a good tool for helping children find their role in society. Recently, however, adults have become worried about the messages that some gender based books advertise. These particular books contain messages that can distort the normal image a young boy and/or young girl. For example, The Boy in the Dress and Gracefully Grayson, are books that may promote gender confusion since these books convey a message that says it is normal and perfectly fine to feel like a girl stuck in a boy’s body (or vice versa). Therefore, adults often question if these ideas should be acceptable and normal to aid in the developmental behavior of a child. Parents of younger children, in this case, can supervise the type of books their children read. This way, parents can make sure their child do not come across any reading material that might contradict their childrearing methods and beliefs. With the exception of the Contemporary Realistic Fiction, all of these types of books are great non-fiction that any child and parent, can enjoy. Brendler, Beth M. (2014). Blurring gender lines in reader’s advisory for young adults. Reference and Users Services Quarterly, 53 (3), 221-224. We can all agree that reading is an important life skill; we use it every day in many different ways. We read signage, we check our email, stocks, read the closed-caption feed on the TV at the gym, and read labels on clothes. We all want our children to be able to do these things and more; sometimes we even dare to hope we are raising a reader, a special person who goes out of his or her way to read everything – brings home piles of books from the library, reads the paper, and would even read the cereal box if that was on the table. I am lucky to be such a person. I call it my superpower, and here’s one way I became a top-notch reader: My parents played games with me. Some of you reading this are intrigued, but some of you are surely scoffing, thinking perhaps there was a misprint, a typo? I kid you not. One way I became an excellent reader, which in turn led to my becoming a librarian today, is that my parents played games with me. We played letter recognition games when I was a toddler. Walking down the street or driving in the car we looked for letters – that big red K was the first letter I learned because we apparently drove by Kmart a lot. Letters are everywhere, say them, point them out to your child, do a happy dance when they point them out to you. Are you in a store or library with an alphabet rug? Take the time to play a game: call out letters and have your child find them. Sing the alphabet song as you hop from letter to letter. When they’ve got the alphabet down, have them think of words that start with that letter. Try playing in their food – drawing letters in pudding, or building a letter out of carrot sticks or Cheerios. Play games like I packed my suitcase. This kind of game can help with memory and retention as well. On car trips, play bingo, try to find license plates with all 26 letters, or try to find a plate from each state. Almost anything can become a game. 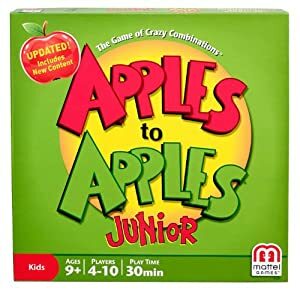 Apples to Apples -there’s a Jr version too! 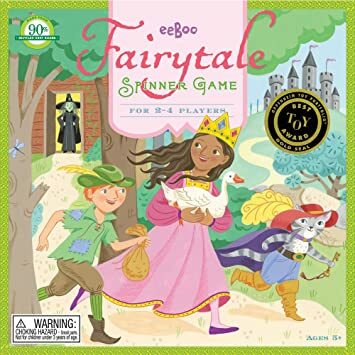 Or try something like the Fairy Tale Spinner game where you collect pieces you use to make up a story once you’re at the end. Telling stories is just as important as reading them. 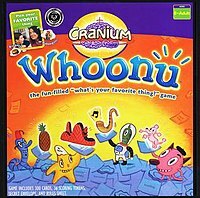 This was my daughter’s favorite game for a very long time. Don’t forget video games (I know some of you think I’ve really gone crazy now). Video games require reading skills, some more than others. 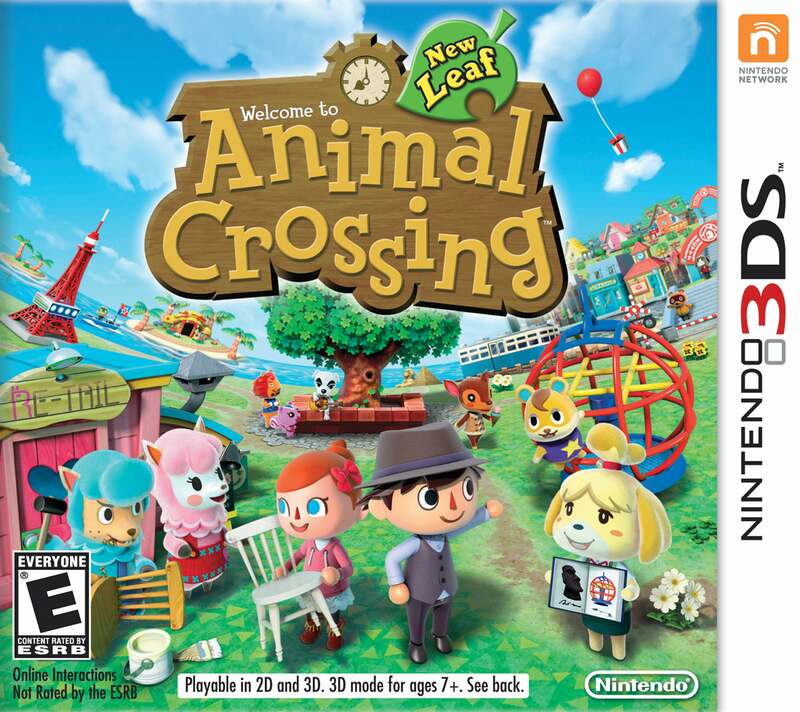 In Animal Crossing there is a lot of reading as characters talk to each other, buy things, collect items, work at a job, build a house, and more. Some games have long, involved storylines that have actually helped struggling readers get better, because the game depends on reading. We are aiming for basic comprehension here. Sparking a child’s curiosity in a digital format can lead to an interest in books about the subject. Non-book reading is just as essential as book reading. Try baseball cards, comic books, magazines, the funny pages, jokes and riddles. If your child is reading it, it counts! Patterson, J. (2011, September 28). How to get your kid to be a fanatic reader. CNN Opinion. Sutton, R. (2007). An interview with Jon Scieszka. Horn Book Magazine, 83(5), 445-455. Children enjoy fun. Really, though, who doesn’t? When did adults stop recognizing fun as a utility for inspiring children to participate in positive activities (read: activities adults want them to participate in)? As adults perhaps we think to ourselves that reading is educational and education is not fun, thus we must make the children read or they never will! This is antiquated thinking at its best and completely free of any imagination or creativity! When we completely ignore the fun and interest factor when it comes to kids and reading we lose track of our long-term literacy goals. We don’t just want children to be able to read, we want them to be readers. Motivating children via the fun factor may take patience and one cannot expect instant gratification. It takes planning and time and an active interest in who children are (as a group and individually) to appeal to the interest zone of their energetic minds. Incentive based reading could be a first choice, with reading games that require children to read a certain number of books or a certain genre as part of a fun activity. How about book bingo? Not only are you giving the child an option to choose what they would like to read (with only broad categories to guide them) you’re also creating a fun game for them to play which rewards them for reading. For many kids reading in and of itself is not a reward, it’s a chore. Making it worthwhile means they’re getting the hours of practice they need to be good at this skill called reading. Allowing them to choose means that they are learning how to navigate the world of books on their own, which will help build their confidence in their own book choices. Sometimes children don’t read because they don’t know what to read. They don’t know what they’ll like and feel intimidated by the options. Building their confidence while at the same time allowing them to participate in trial and error regarding genres and stories they like will help grow a kid who is sure of themselves when they take a book in hand. That may be half the battle. But aside from incentives you could just remove books from the equation altogether! Gasp! Well, at first. Engage children’s interests, even if they aren’t book related. Host a gaming club at the library that will allow kids to play all of their favorites. 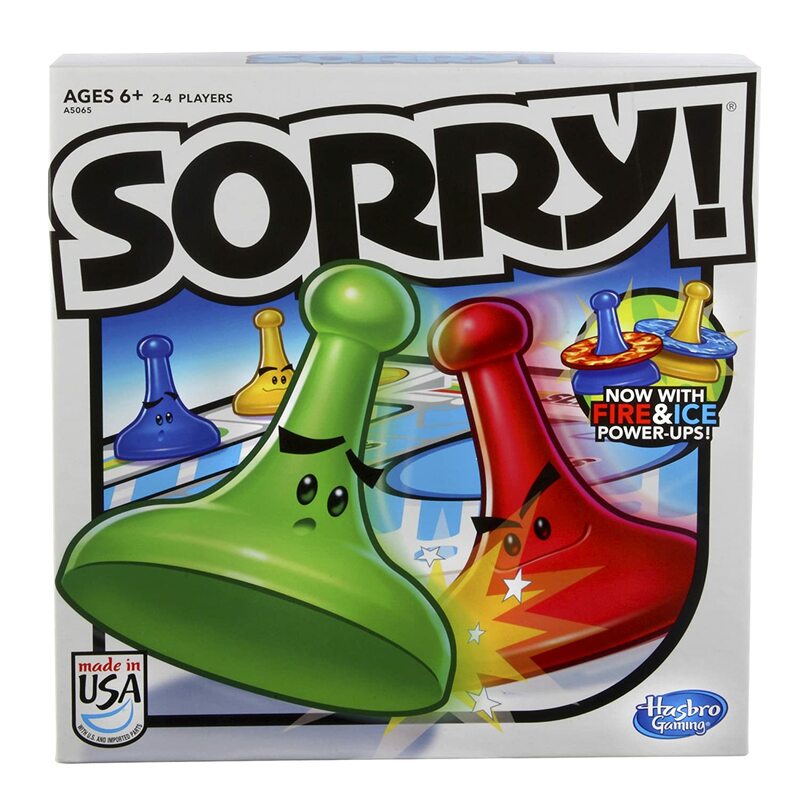 Board games, computer games, video games. You name it! How does appealing to video game interests help reading? 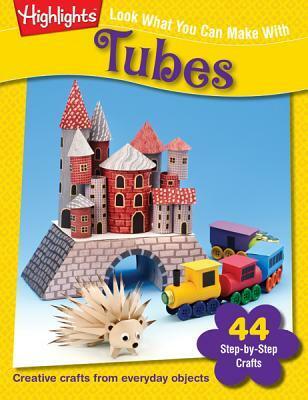 Well, There is a book somewhere out there that covers every child’s particular hobby or fascination. 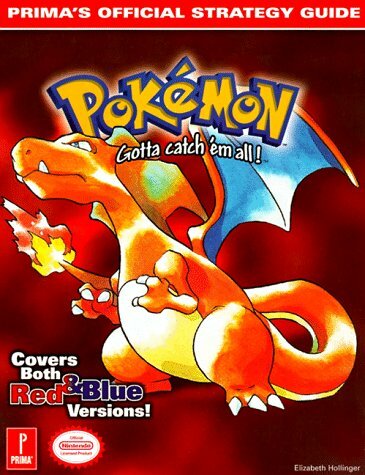 Even a child who prefers videogames to anything may scramble for a chance to get their hands on a strategy guide! Why try to force a child, whose mind is awash with PORTAL strategies ,to read a book on gardening? You wouldn’t. In fact, that sounds absurd. Why? Well, because gardening and PORTAL are so completely different. You wouldn’t catch a librarian (hopefully) trying to persuade a digital enthusiast to read “Tips on Pruning Bushes” because it’s enriching and gardening is a “more worthwhile pastime”. So why are we trying to force classics and Newbery winners on children who have zero interest in the topics of these works? Children may surprise you and, when given an opportunity and the necessary tools (such as guidance, not totalitarian commandments), forge their own way. Perhaps eventually a kid whose only previous interest was in the strategy guide pictures will suddenly feel like reading some of the written suggestions. Then perhaps, once they’ve finished the entire read, they’ll seek something more. 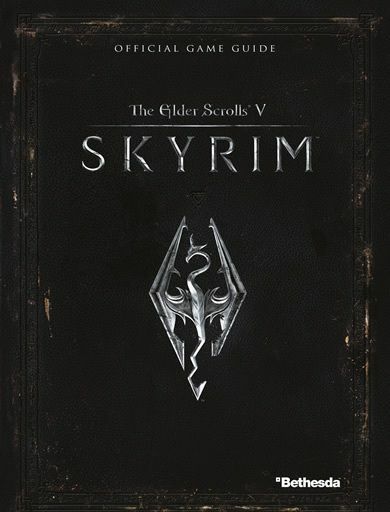 Skyrim could lead to a dedicated Fantasy enthusiast and MineCraft may inspire a child to grab up books on architecture, engineering, or game programming. Waiting and watching to see where the roots take hold is the patient part. It may be safe to say, though, that engaging children in fun and games to promote reading makes up for the waiting. Give it a try. Motivating children to read is not a new topic. For as long as the benefits of reading have been acknowledged, adults have been trying to get youngsters to read more. After mastering the basic skills involved in reading many kids eagerly begin to devour books (these kids often develop into life-long readers). For others who struggle with reading, the frustration continues to grow as they are dealt more challenging material and begin to form the self-concept of a poor reader. Then there is that in-between group, those who enjoy reading at first but slowly taper off as they age. Fourth through eighth graders, often called middle readers, might have heavier homework responsibilities, more chores, and more demanding after-school schedules. At this age, reading for fun may no longer sound fun, or just may not fit into a busier lifestyle. Whatever the reason that middle readers are losing their reading momentum, we as parents, teachers, and librarians want to get that momentum going again and help these children grow as readers so that they may continue to read for pleasure as they enter into young adulthood. There have been some great ideas for motivating kids to read. One junior high school librarian has gotten the teachers involved. Galliton (2014) says she puts a sign on each teacher’s door stating “Mr/Mrs­­­ (teacher’s name) has read _____ books this year! How many have you read?” Every other week Galliton emails the teachers to get updates of books they have read, and she adds images of the newly read books to the teachers’ door signs and changes the number to reflect the new total of books read. I love this idea. I do not think we can pick on students’ reading habits if we do not demonstrate good reading habits ourselves. My idea for motivating kids to read is simple: Be a marvelous reading role model! Stuck in a long line at Secretary of State, or watching the minutes tick by in the doctor’s waiting room? Pull out a book and read. Keep a book for your youngster on hand too, in your purse, bag, or in the car for such occasions. Make a special time in your home every single day for silent reading time. All family members can grab their favorite spot in the family room and do some reading. It can be newspapers, magazines, graphic novels, fiction, non fiction, even how-to books. Anything goes for reading during this time. Sometimes you can read together. Pick a book the whole family will love, and the next t ime you are at the park place a blanket under a shady tree and when the kids need a break from running around, sit together and read a chapter. This is a great idea on vacations too. After a long day at the amusement park or sight-seeing, when you are back at the hotel, instead of winding down in front of the television pull out a good old-fashioned scary story and read it together. Rainy days are perfect for family reading too. It might take a few tries before everyone gets into it, but from my experience anytime I start reading a good book out loud, the kids just clamber over to peek at the pages. When you notice them starting to lose interest, grab the bookmark and try again another time. Sometimes they might sit for nearly an hour, other times less than 10 minutes. The amount of time is not as important as reading consistently. Try to form a family book club with some of your children’s friends and their parents. Pick a book that can appeal to all ages and when you get together really listen to what the kids have to say about the book. Kids love to be acknowledged for their thoughts and ideas, a book club gives them the platform to talk and be heard. Being a proactive parent means talking to your kids’ teachers and librarians. Find out what they are learning about in school. 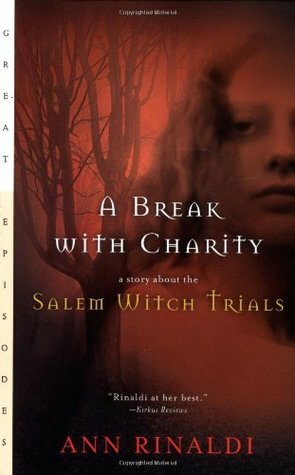 If they are studying the Salem Witch Trials spend story time reading The Witch of Blackbird Pond by Elizabeth George Speare or A Break with Charity: A Story about the Salem Witch Trials by Ann Rinaldi. 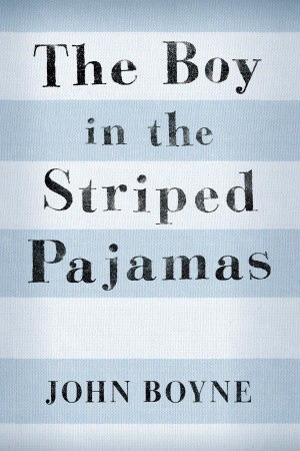 World War II in the curriculum brings about a great time to read Lois Lowry’s Number the Stars, John Boyne’s The Boy in the Striped Pajamas, or Markus Zusak’s The Book Thief. If you need help finding good books to read that match the topics in school, talk to the school librarian or the children’s librarian at your public library. When we are not presented with better options we all fall into our comfort zone of watching television, playing video games, going on Facebook, and the like. When we are presented with something better to do we might start out begrudgingly, but before long we are thoroughly enjoying ourselves and are excited by discovering new things to do. Books are a gateway to fun. And don’t hesitate to let your kids search online to find fun family activities as well, reading on a computer screen is still reading! Make reading a part of everyday life in your home (and school) and the kids will learn to love books too! 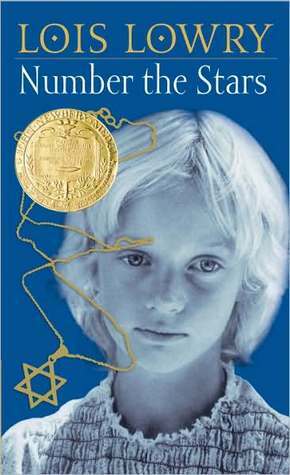 Jeanine Stark on Orbis Pictus? Is That a Fancy Latin Name for a Picture Book? Jack Schultz on Listen Up!